Goodbye to IRELAND but hello to LONDON & SOUTHERN ENGLAND beginning tomorrow, Sept 25. Stay tuned! 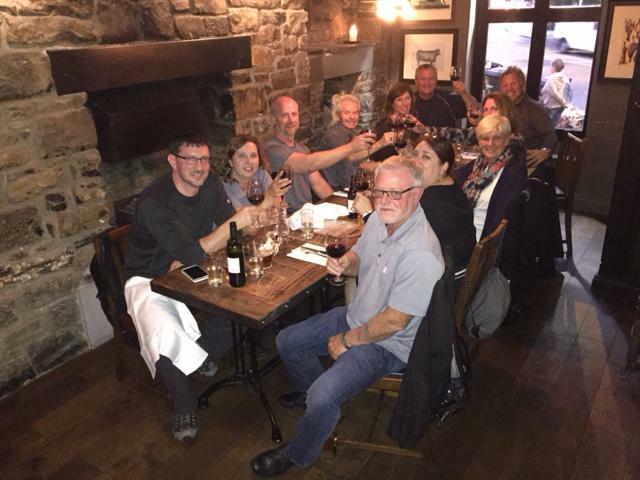 The wonder group at our farewell dinner at the Boxty House. Dublin, Ireland. 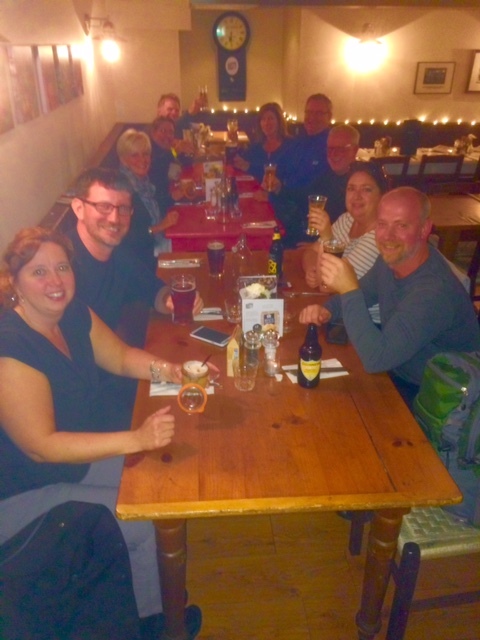 On the IRELAND tour. 22 September 2015. 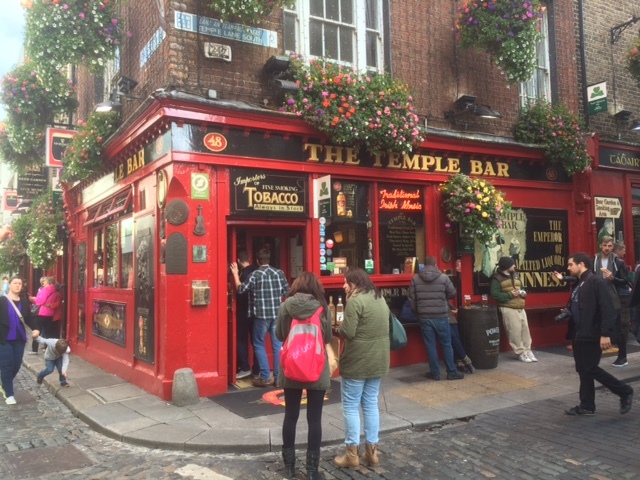 The 200 year old Temple Bar. Dublin, Ireland. On the IRELAND tour. 22 September 2015. 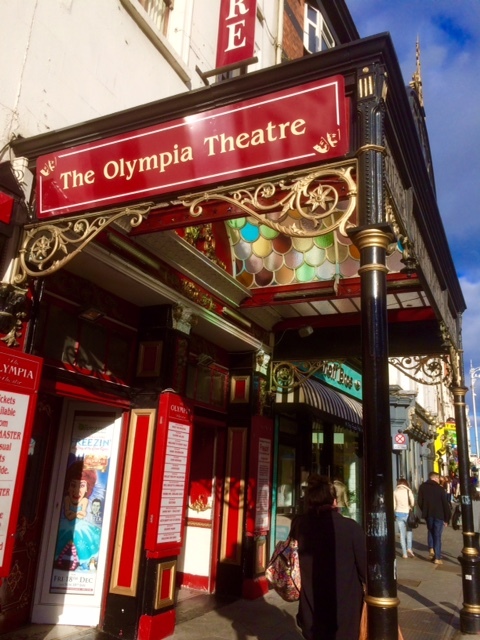 The 19th century Olympia Theater. Dublin, Ireland. On the IRELAND tour. 22 September 2015. 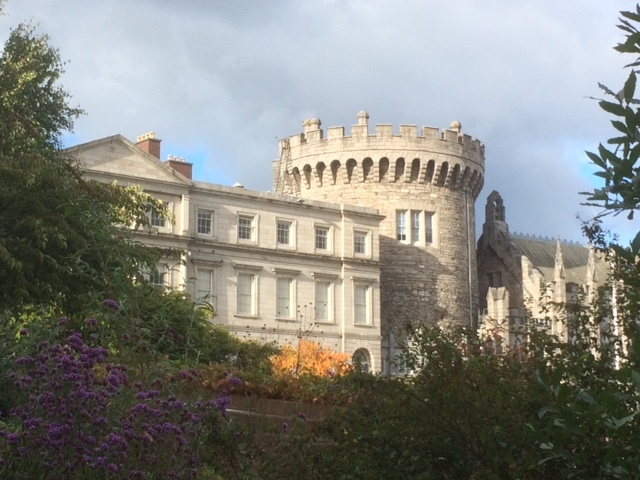 The Dublin Castle. Dublin, Ireland. On the IRELAND tour. 22 September 2015. 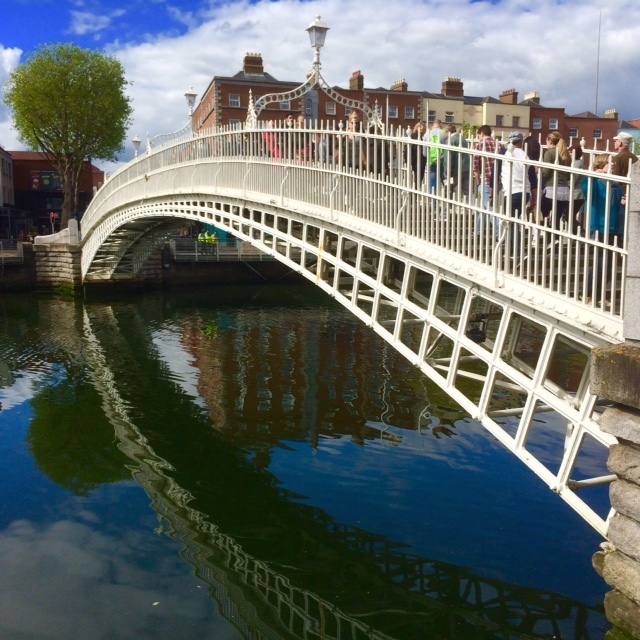 Ha’Penny Bridge. Dublin, Ireland. On the IRELAND tour. 22 September 2015. 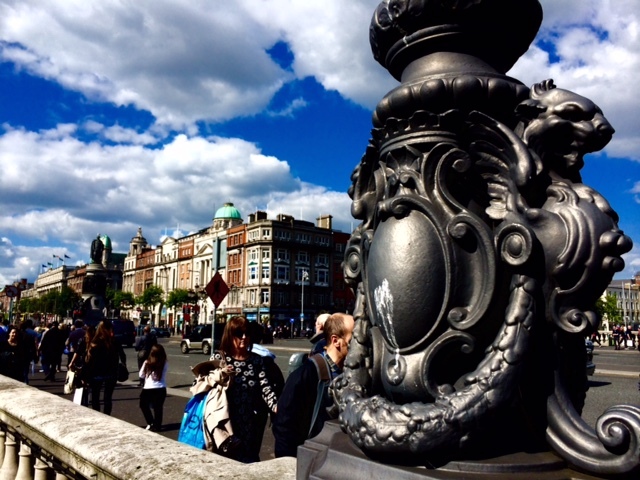 Dublin. 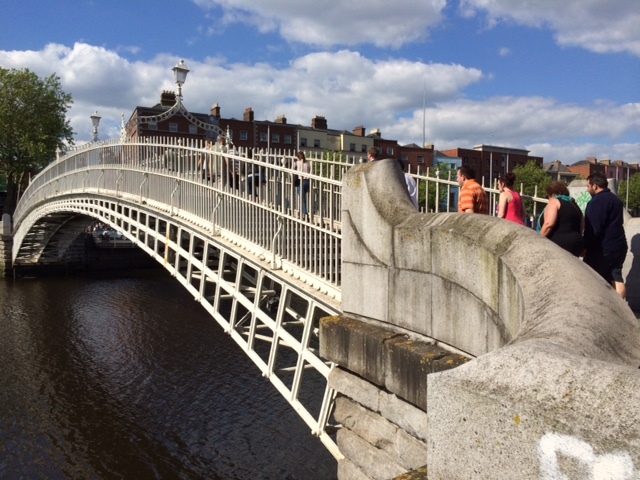 The O’Connell Bridge. Dublin, Ireland. On the IRELAND tour. 22 September 2015. At the excellent Bull & Castle Restaurant in Dublin. On the IRELAND. Tour. 21 September 2015. 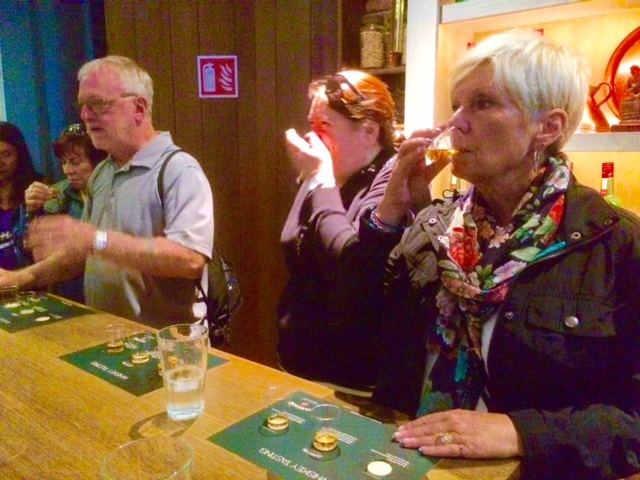 Mike, Cari and Diane at the whiskey sampler. Dublin. On the IRELAND. Tour. 21 September 2015. 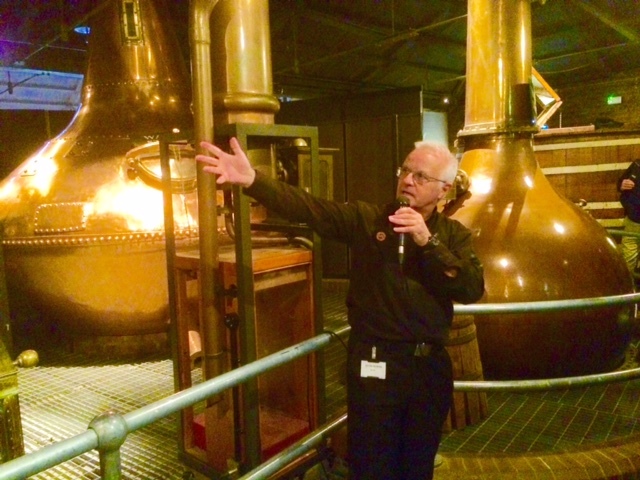 The Jameson’s Distillery tour. Dublin. On the IRELAND. Tour. 21 September 2015.